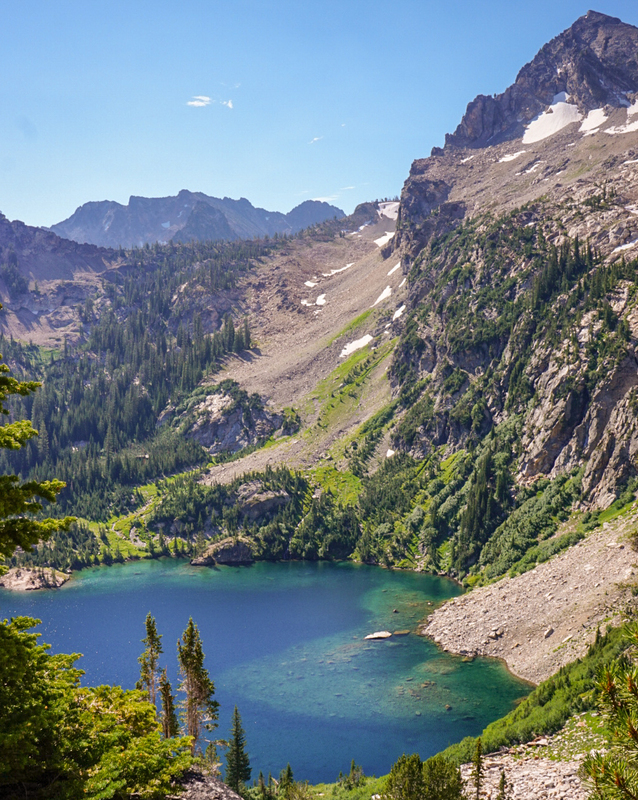 This walk is ranked #2 in Idaho and it is easy to see why. It is an easy 9 mile out and back that passes 2 pristine lakes with mountain backdrops. @cake.hikes and I slept in at the trailhead before making our way up the trail. We passed the applicably named Apline Lake (pictured) and stopped for an early lunch at Sawtooth Lake. We then retraced our steps back to the car. There was still plenty of daylight so we headed to the Cloud Peaks Wilderness to start our next, and last, hike of the road trip.